There are some things in life that you can avoid, but unfortunately, there are a few very important truths that must be faced. One of these truths is that sometimes it gets hot. Outside, inside, everywhere. Everything burns up in the summer, and sometimes it feels like you just can’t escape from it unless you want to stand in a supermarket and pretend you’re going to buy something just to feel the air-conditioner. Okay, maybe it’s not that complicated, and if you’re here I’m sure you know the solution. It’s going to cost a few dollars maybe, but you’ve settled on this. It’s time to stop going to the supermarket just to enjoy the air-conditioning. It’s time to get an air-conditioner for your house. The first thing to take into account when purchasing a new air-conditioner for your house is room size. If your air-con isn’t powerful enough, you may find it struggling to maintain a stable temperature, and the machine will burn out before long. If it is overpowered, it will use far more electricity than is necessary, costing you loads in your electric bill. There are five primary types of air-conditioners. Portable, Split System, a Window Box, Ducted, and Multi-Split, but here we’ll discuss only the more commonly purchased ones; Portable, Window Box, and Split System. 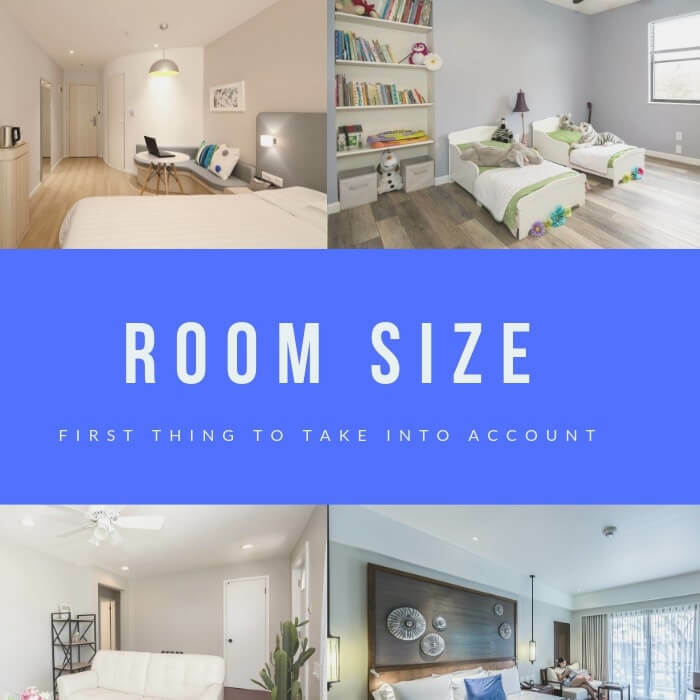 For a small room (less than 20 meters squared) you would want either a portable unit, a window box or a small split system (check that the unit is between 2 and 4 kilowatts). For a room between 20 and 40 meters squared, you’re going to want a 4 to 6 kilowatt unit, either a window box or a split system. Anything bigger than 40 meters squared is considered a pretty large room and is going to need something between 6 and 9 kilowatts, which you’ll generally only find in a split system. As mentioned above, there are three primary air-con types, and you may still be wondering what the difference is between them. It takes a little explaining to figure it out, but it’s pretty simple when you get the hang of it. Split-system air conditioners are for large areas, up to 60 square meters and range greatly in price, costing anywhere from $600 to more than $5500 depending on the unit you purchase. Multi-split units are multiple units that are linked to a single outdoor unit, and are used for cooling rooms that are closely packed together. These generally cost similar prices to the split-system units. Ducted air-conditioners are central units connected via air ducts to outlets and sensors in every room in a house and are meant to cool entire houses. These aren’t impulse buys, and can easily cost more than $10,000. Window boxes are exactly what they sound like. Small units that sit in your window sill or are mounted in your wall. The more compact units can be plugged straight into the wall, though bigger ones may require more wiring. These aren’t incredibly common, but if you need a somewhat small space cooled, you could definitely do worse than the $400 to $1100 you would need to spend for one of these. Portable units are single boxes that can be moved around as needed, though they are quite clunky so it may not be the most convenient thing in the world. Most of them have a duct that can be plugged into a window to vent heat outside. It’s not as efficient as other air-conditioners, but it’s easily the cheapest and most convenient of the bunch, with some units coming in at as low as $300. When you’re picking out your air conditioner, make sure to think about how efficient it is. 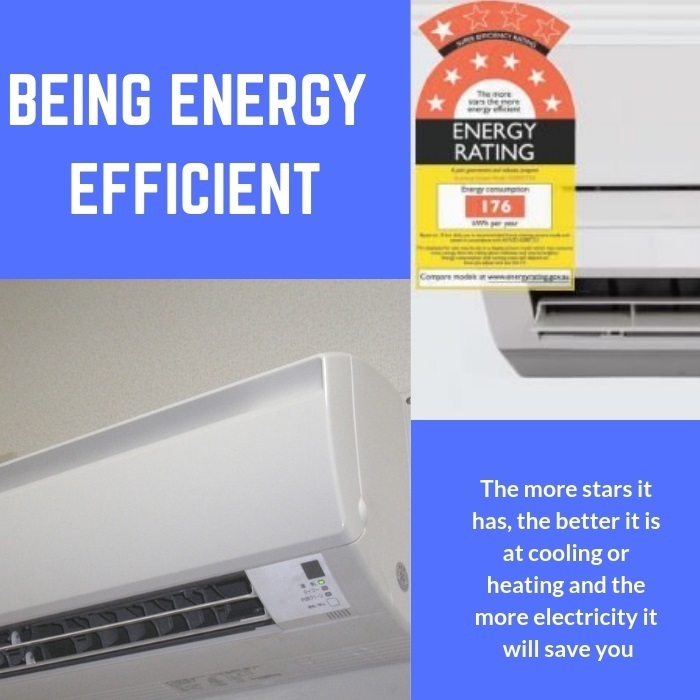 There’s a system in place called the energy star rating, and it is an Australian federal initiative that was made to clearly and concisely indicate how energy efficient an item is. This system involves two small indicators, one red and one blue, each with a maximum rating of 4 stars. The blue rating indicates how effective the system is at cooling, while the red indicates how good it is at heating. The more stars it has, the better it is at cooling or heating and the more electricity it will save you. Note that energy efficient models are generally more expensive than their less effective counterparts, but don’t let this sway you. The money you will save on your electricity bill in the long run will far outweigh the amount that you’ll lose paying off exorbitant bills for an inefficient system. You may want to purchase your air-conditioner in winter months, as there will be less people buying in that time period, and sellers may be trying harder to get rid of units. Avoid buying in summer, as that’s the hottest time of year when everybody is trying to get their hands on an air-conditioner. Try and take some time to shop around for the best deals, as prices can often change throughout the year. Unless you have purchased a portable unit, we recommend that you get a professional air conditioner installation company who is licensed to work with refrigerant. This is just to make sure that the process is completed safely and that you don’t void the manufacturer’s warranty for your unit. Good systems will sometimes come with a service that has them install the machine for a discounted price when bundled with the machine. Different installers charge different amounts, so keep your eyes peeled for a good deal. 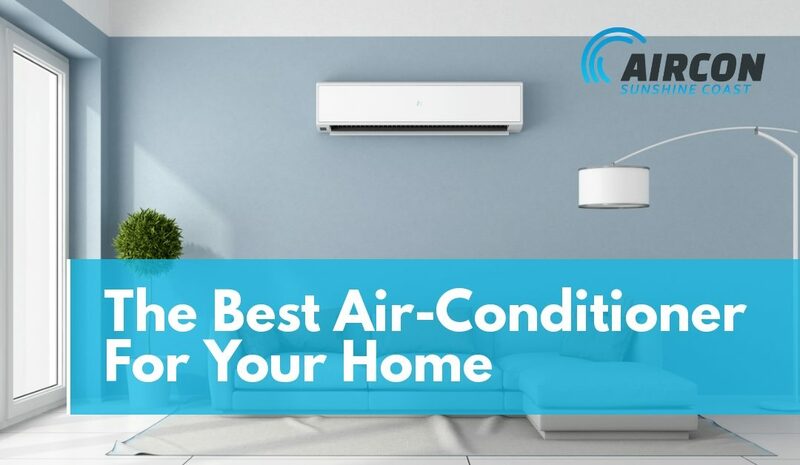 If you want a place where you can purchase your air-conditioner, and have them install it for you, Sunshine Coast Air Conditioning is the place to go. Not only have they been in the business of selling air-conditioners for 20 years, they are locally owned, and have more than 100 years of experience among them. They know what they’re doing, and they charge very reasonable prices for their services. From residential machines for your home to commercial or industrial machines for you business, they can help you with all of it. If you’re on the Sunshine Coast, it’s worth the trip to make sure that your air-conditioner purchase and installation is in the hands of capable professionals who will make sure to get the job done quickly and affordably. Contact us now and purchase the perfect air con system for your home.